Discover the Corniche d’Or and its natural scenery! 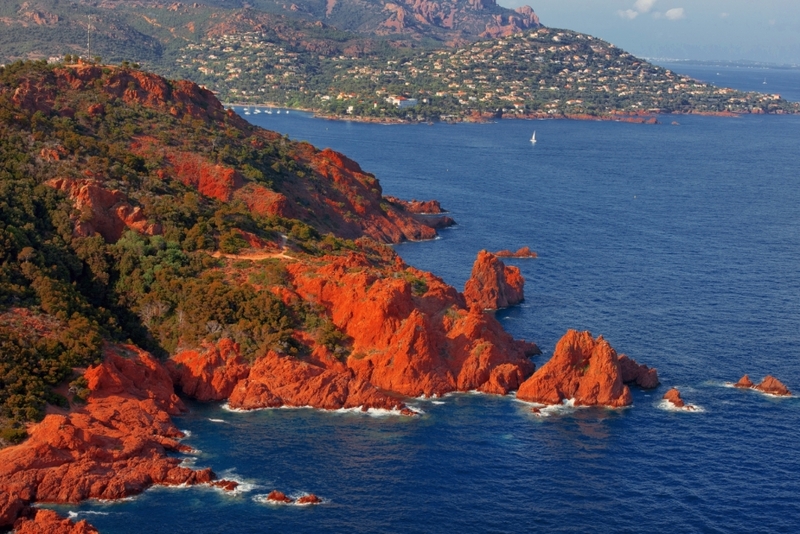 During a cruise with commentary, admire the red cliffs of Esterel and the turquoise blue waters of the Mediterranean. Departing from Mandelieu-la-Napoule or Théoule-sur-Mer, a few minutes by boat is all it takes to reach the foot of the Esterel Massif. 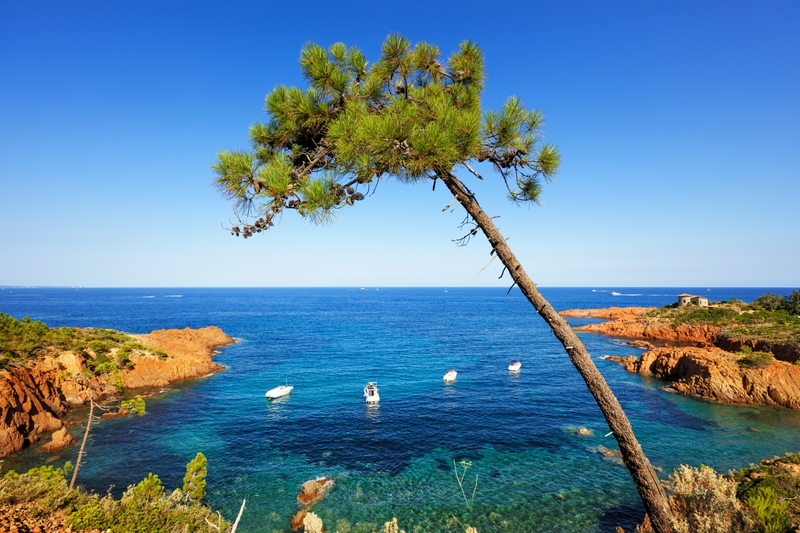 This cruise with commentary is a unique way in which to explore this unmissable post card location within the Côte d’Azur. 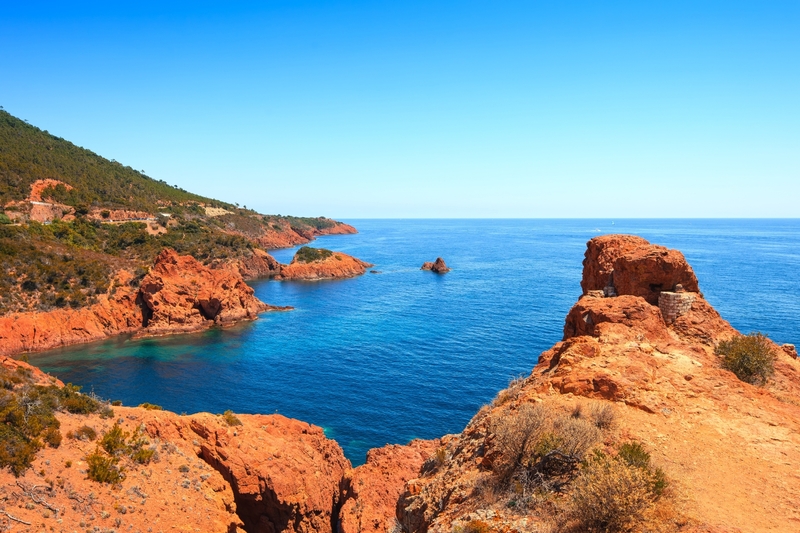 A protected Natura 2000 site, the Esterel Massif is home to exceptional flora and fauna. It also accommodates an array of leisure activities such as hiking, horse-riding, climbing and mountain biking. 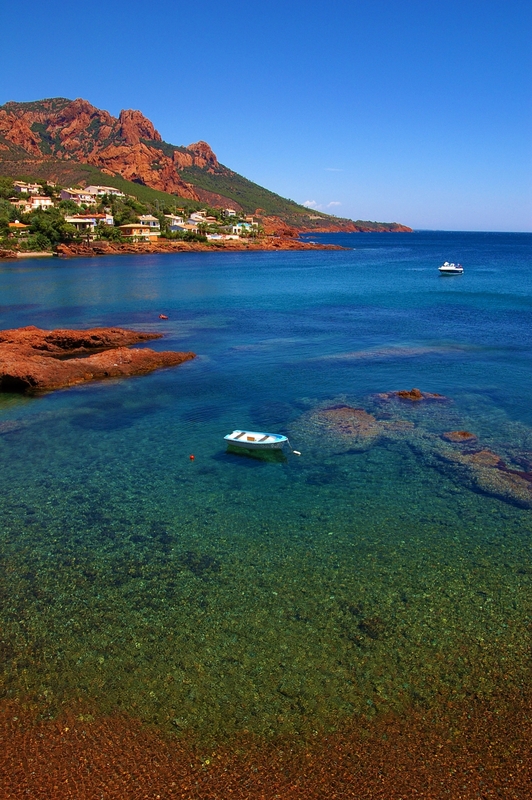 Along the Corniche d’Or, look out for a series of sharp reliefs, creeks and small beaches. Opposite the characteristic cliffs rising from the sea, enjoy sumptuous panoramas rich in colour!